Ahoy everyone ‘n welcome t’ another Stellaris development diary. Today, we continue natterin’ about th’ Apocalypse expansion ‘n 2.0 ‘Cherryh’ update, on th’ topic o’ Marauders ‘n Pirates. and that would have been OK. Featured image – a space battle – from Monkey in the Cage. Marauders (Apocalypse) – a non-playable, nomadic empires with large fleets that roam and raid the galaxy. 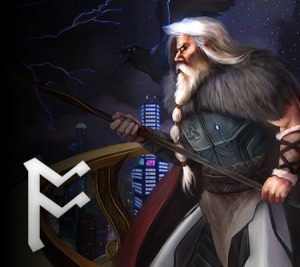 Horde Mid-Game Crisis (Apocalypse) – a Marauder empire unifies under a Great Khan, transforming into a Horde, and will begin claiming empty systems and forcing regular empires to become their subjects (known as a “Satrapy”). Pirate Rework (Cherryh) – Pirates will now spawn in empty systems bordering empires, with the chance of spawning much higher for systems fully surrounded by your borders. Marauders will be an Apocalypse-only feature. 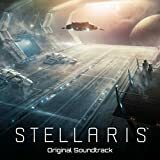 Marauders sound, to me, like “advanced” space pirates, with a home system and a large fleet. They will roam the galaxy, extorting tribute from “normal” settled empires and raiding from each other. Before raiding settled empires, they will demand a tribute of minerals, energy, or food. Refusal is sure to earn a visit from their strong fleets. During the raid, they can still be bought off with tribute, but the price will be much higher. 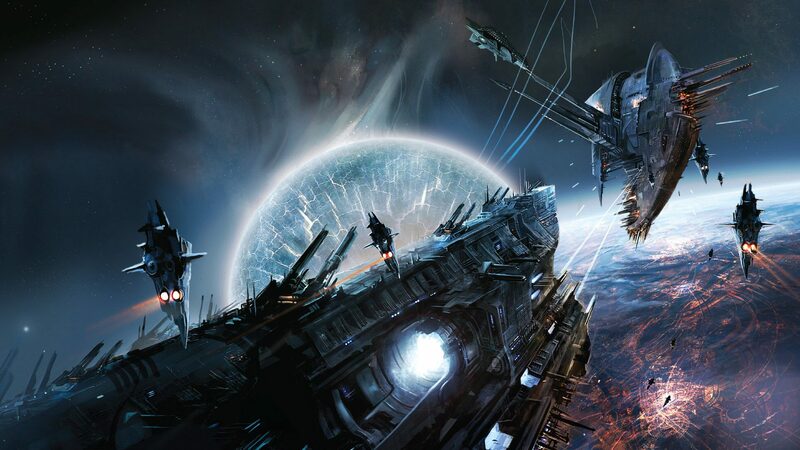 A settled empire can eliminate a marauder faction by destroying all stations and ships in their home system, but this will likely required a mid-to-late game navy. Note that the current “Space Nomads” are distinct from Marauders and will continue to exist separately from them. The Horde Mid-Game Crisis will be an Apocalypse-only feature. After the first 100 years, one of the Marauder empires will unify under a “Great Khan” and become a Horde. A Horde can claim empty systems and take settled empires as a type of subject called a “Satrapy”. A Satrapy must pay part of its income and naval capacity in tribute to the Khan, but otherwise is left alone. If an empire refuses to submit, it’s a fair target for the Horde. 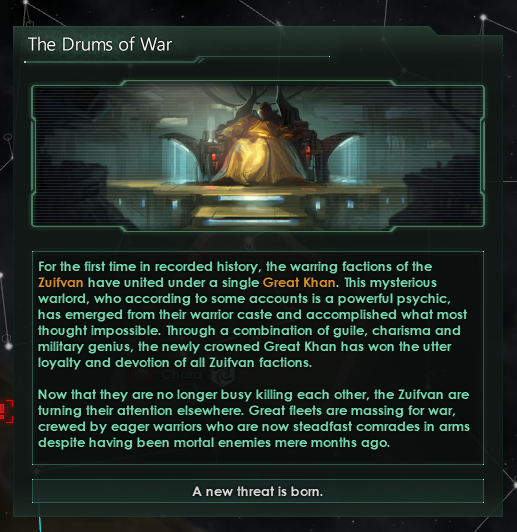 A Horde will crumble if the Great Khan is killed – in battle, due to disease, or as a result of assassination. The result? A myriad of squabbling successor states, or perhaps a Federation. He’s an admiral. He can’t die of old age, and there is some special handling for him in battle, but there are other ways he can be knocked off. The Pirate Rework will be a new feature in the base game. 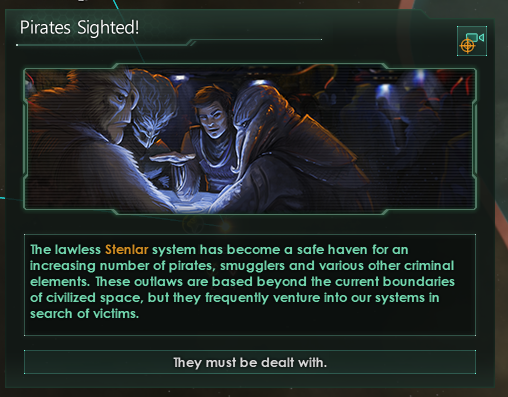 Most static pirate spawns will be removed, replaced instead by pirates spawning in empty systems on the borders of empires. I’m particularly keen on the Horde Mid-Game Crisis. This will be a great way to shake up the state of the galaxy in the mid-game, assuming that its strength is properly tuned, because of what happens after the Khan is gone. The uncertainty of whether you end up with a united democratic Federation or a spattering of balkanised, angry states will also add some variety to the crisis in repeated playthroughs. The changes to the pirates sound like they’ll make them more of a persistent bother. Ordinarily, I might be against these changes, but I think it will further help deal with the doomstack problem that lots of the changes in Cherryh 2.0 do. 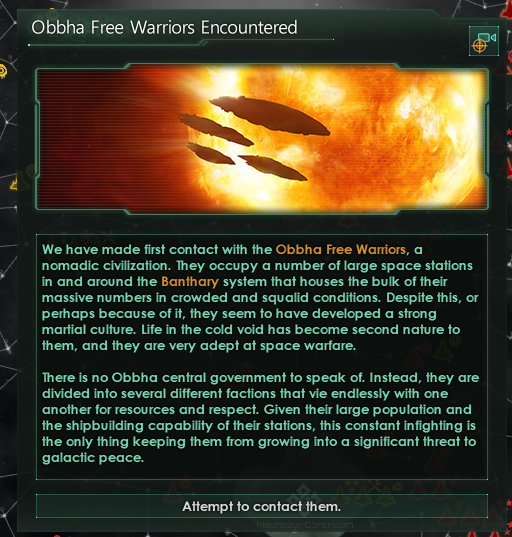 This is because you’ll have to have fleets that are large enough to deal with these pirates at the edge of your empire, but not so large as to weaken your core fleet. This is a good thing, in my opinion! If you’re looking for something to tide you over, the Mercenary Enclave and Pirate Waves mods emulates some of the behaviour of the Marauders. If you want to scratch your piratey itch, check out the Pirate Codex Government Type mod.